Hi there!!! Happy Birthday to my adorable nephew Martin!! 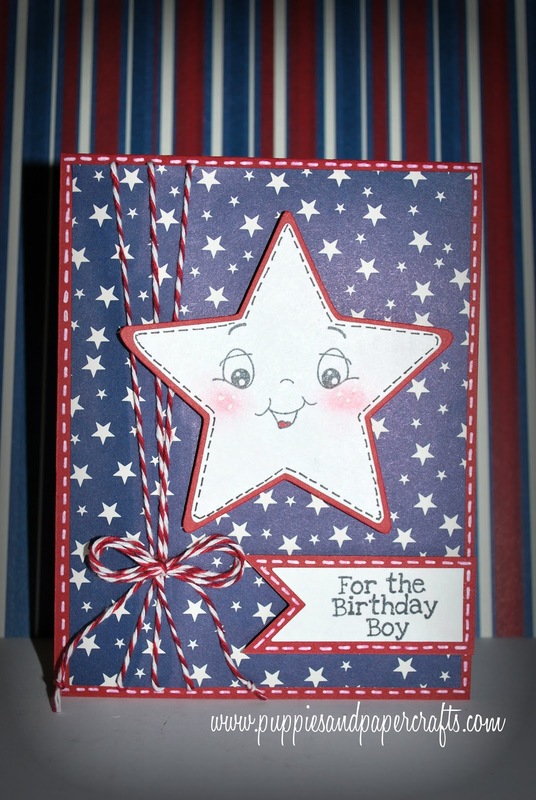 He was born on the 4th of July!! How awesome is that?!?! He loves that "America" celebrates the same day as him! He also LOVES fireworks and his Mom and Dad put on a HUGE firework show each year! One year I will be able to make it to a show and see all the amazing fireworks! I asked him what theme he was having for his birthday this year and he wants to keep it patriotic with red, white, and blue. I made him a banner and an adorable card! I hope you are enjoying the 4th of July!! How do you celebrate? Happy Birthday to your Nephew. 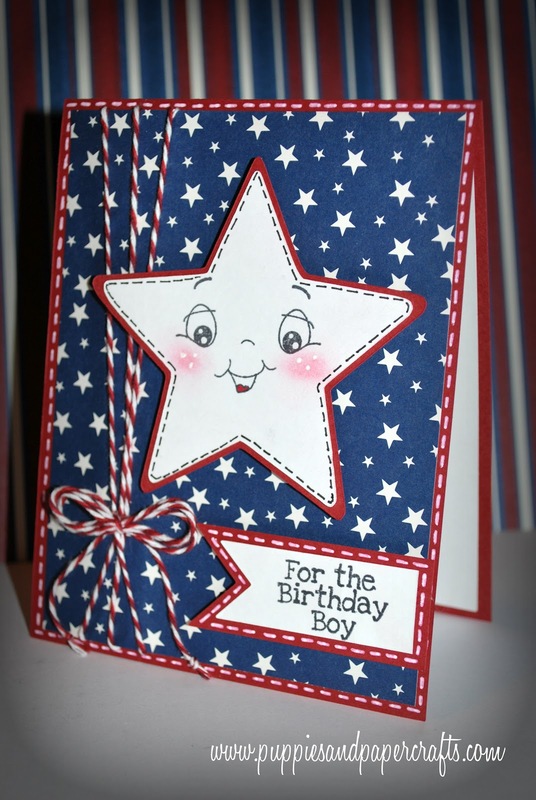 He is going to love his adorable card from Auntie. Enjoy your 4th of July Kim. Oh Kim, this is so cute. What a sweet little card. Thanks so much for using Trendy Twine. Such a sweet card, love the cute little PKS face too! Such an amazing card! I'm sure he will love it!!! Fantastic work, Kim! I wanted to let you know I am starting a new challenge blog in a few weeks & would love for you to stop by and check it out! Hope to see you there! Love your card. 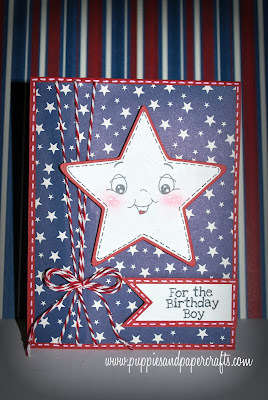 esp the cute face on the star :) I'm sure your nephew loved the card.